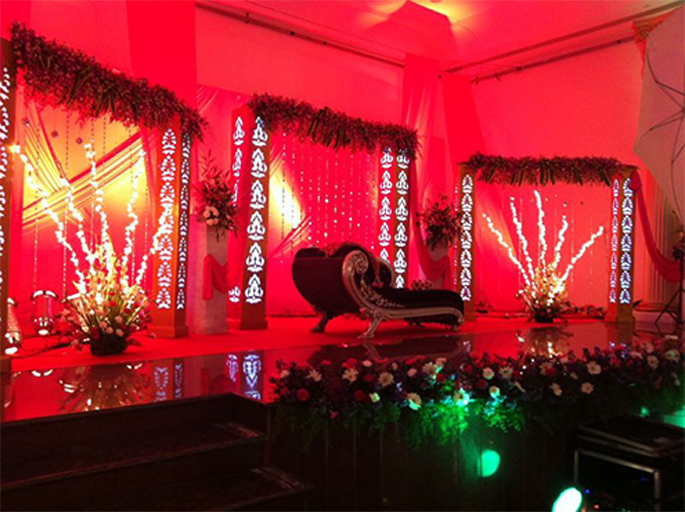 Kiyoh offers complete wedding management solutions with specialisation in destination weddings in Chennai. We help you in every way to not only make your wedding day pleasant but offer you every gamut of wedding services, well within your budget. Be it invitation cards, photographers, catering, or guest management, you name it, and Kiyoh has a solution. 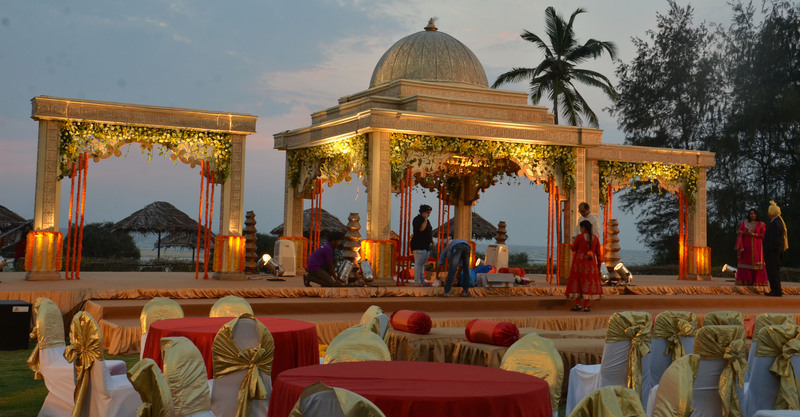 Kiyoh offers a humongous number of wedding venue options in Chennai, including several outdoor wedding venues and even those at the beach. We liaison with several estates, farms and beach property owners and help you not with one but several such options to choose from. Simply brief us about the kind of venue that you seek, the number of guests and the budget, and the rest will be taken care of by us. 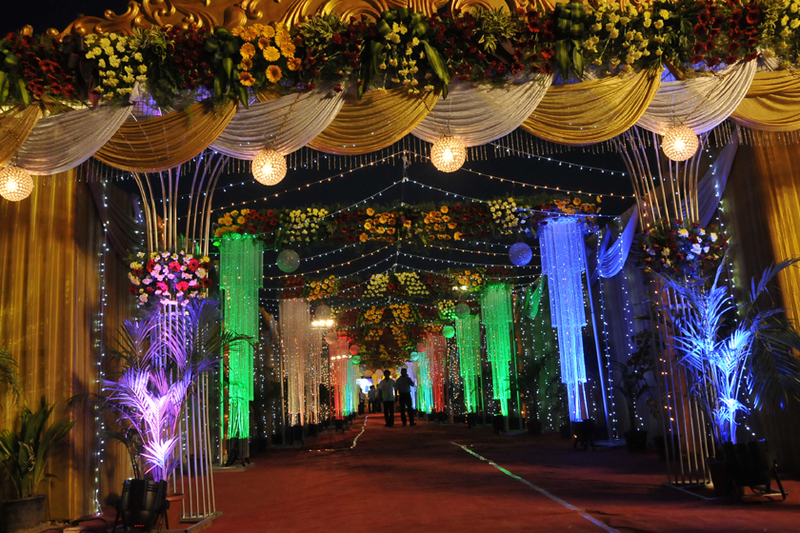 Whether it is wedding resorts or banquet halls both for engagement and reception along with price, from open lawn marriage halls to hotels with banquet halls to the biggest marriage halls in Chennai, we have the right contacts to make your dream wedding come true. We understand the importance of your wedding day for you and your family and therefore our out of the box ideas, themes, décor, entertainment and return gifts, are made to only invoke fond memories for you and your guests. 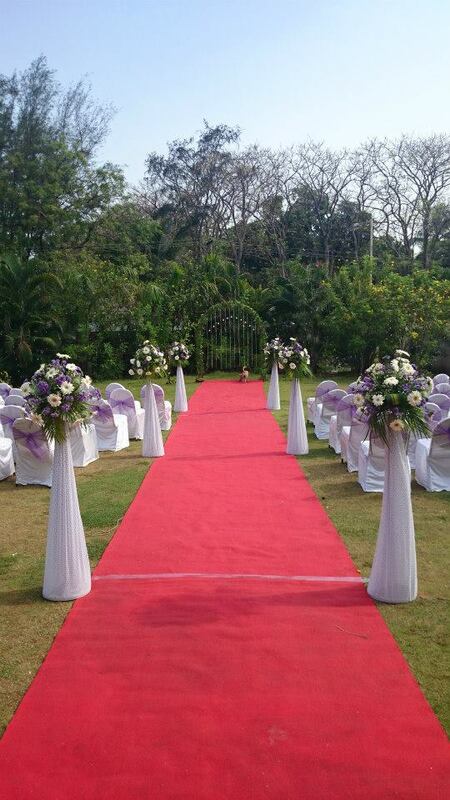 Chennai offers some very breathtaking beach wedding venues. Beach weddings offer a unique relaxed and superbly enjoyable ambience that does not come with any other type of wedding venue. 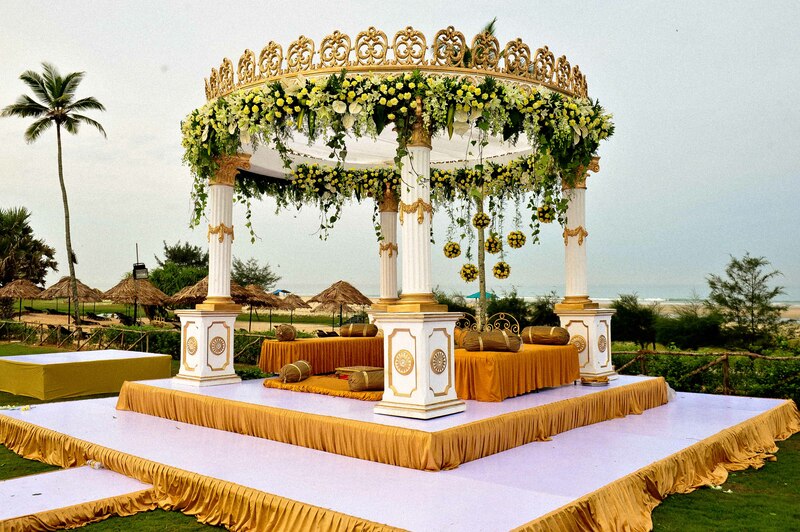 If you have been dreaming of a beach wedding, check out our wedding venues Chennai options; it will surely put a big smile on your face. 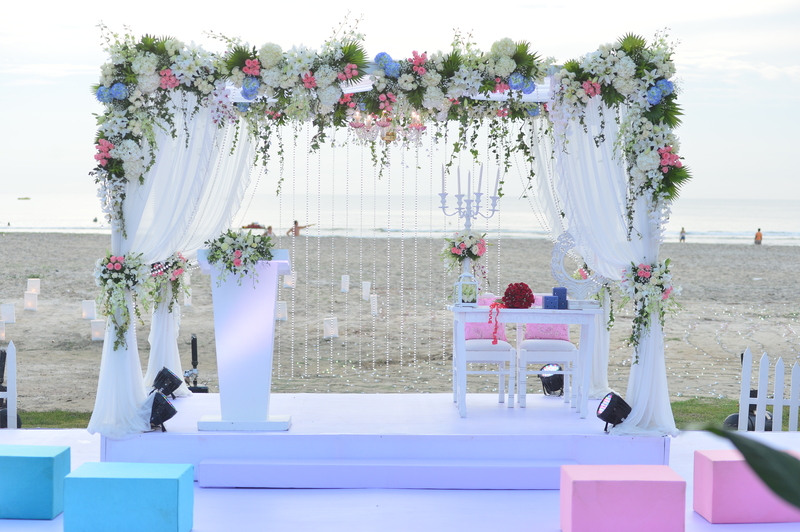 Beach weddings come with their own set of challenges, but we take care of it all. 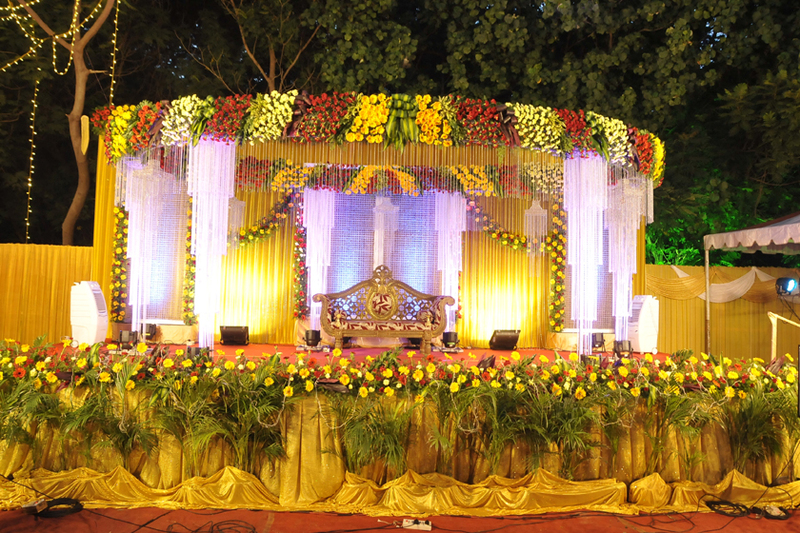 Be it decor, guest entertainment, live streaming or for logistics, our end to end wedding services ensure seamless planning and operation.